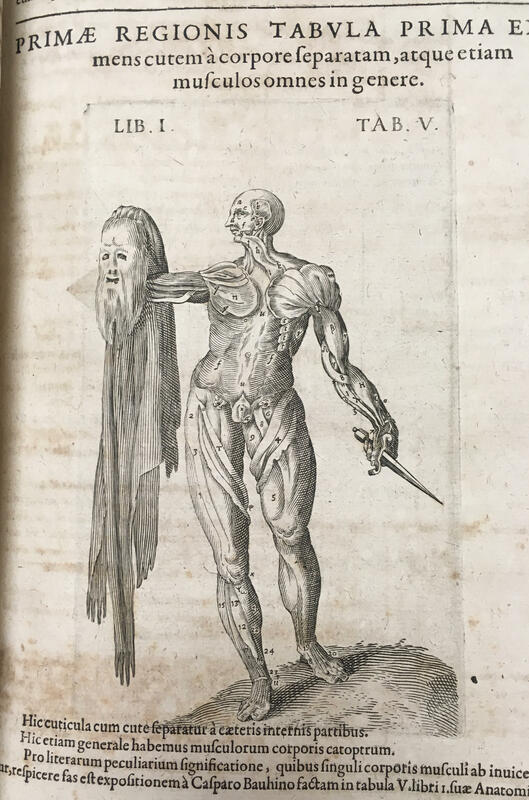 The Rubenstein Library’s History of Medicine Collection always seems to provide the most unusual examples of illustration. This text (catalog record here) by English physician Robert Fludd, published by Johann Theodor de Bry in 1623, is no exception. The anatomical specimen is both comical and gruesome…but also strangely familiar. 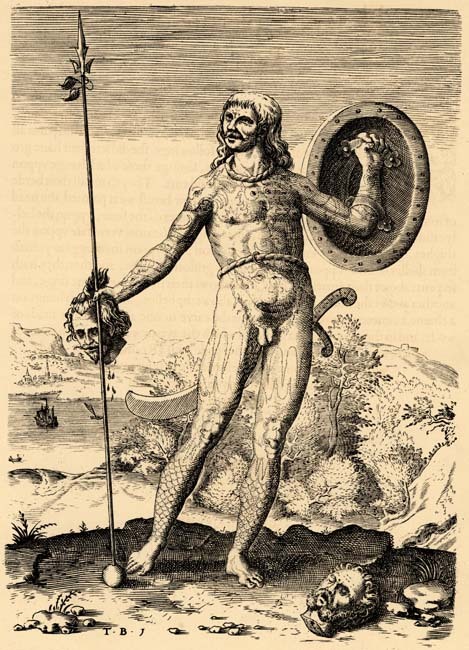 Johann Theodor’s father, Theodor de Bry, was also prominent publisher and engraver, and many of his works on exploration of the New World can be found in Duke’s collection. Theordor’s 1590 engraving, The Trvve Picture of One Picte from the second edition of Thomas Hariot’s book A Briefe and True Report of the New Found Land of Virginia, appears in the same pose.